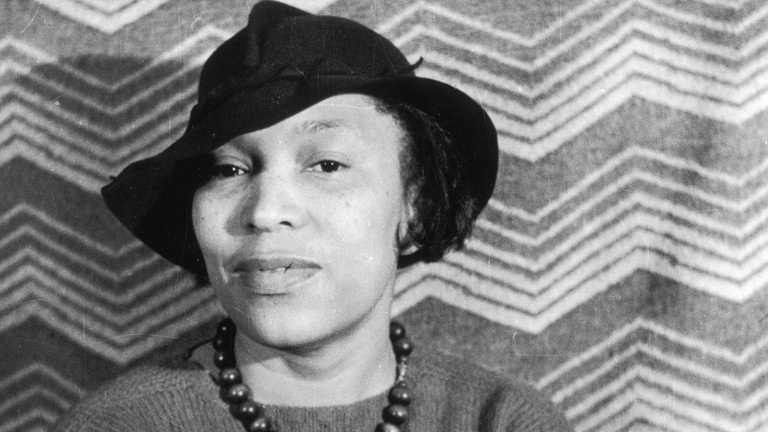 When Zora Neale Hurston published Their Eyes Were Watching God in 1937, she had no idea of the currency it would continue to hold long after her death. The African American writer and anthropologist rose from humble beginnings in the South to become one of the leading figures of the Harlem Renaissance. A prolific writer, Hurston published more than 50 short stories and four novels during her lifetime. Their Eyes Were Watching God would become her most popular work. The book remains a classic work of the Harlem Renaissance. It is an exemplary model of the dynamic, rich nature of black dialect and a staple in black feminist studies. In writing the novel, however, Hurston simply told an affirming story of a young woman’s growing self-autonomy, sensuality, and love. It was a love story, no doubt a troubled one of mis-love, that existed among, between, and for black people on terms defined and judged only by themselves. The novel not only explores the sentiment between its heroine and the flawed men in her life, but also explores the intimacy she finds with her sister-friend as well as the distinct folk culture that sustains the segregated black community. In this way, it’s all about love. In retrospect, the novel was a bold move by Hurston–one that has stood the test of time. Yet in her time, Hurston’s contemporary Richard Wright judged the content of her book as a mistake. There were too few black writers being published at the time, and her story, in his estimation, did not defend black people’s existence in the face of the brutalities of American apartheid. Wright was wrong. Their Eyes Were Watching God was as much an act of political writing as Wright’s novel Native Son, in which social injustices undermine the main character’s relationship with his family, intimate partner, friends, and community. In contrast, Hurston’s book describes in lush and vibrant terms all that makes black people laugh and cry, all that rests at the foundation of their humanity: their fallenness, jealousies, affections, and triumphs. Hurston asserted in her story that black men and women have had and known love, however troubled or denied it may be. One of the gifts that Hurston’s novel offers to this generation is the charge that we not forget that black love exists despite how fragile it may appear to be. In fact, many feel and share love exactly for that reason. Hurston’s masterful storytelling charges all of us, eighty years later, to give thoughtful consideration about the state of our loved ones and the ways in which we show them our love. We can hear Hurston’s call coming off the airwaves in R&B, blues ballads, and hip hop rhymes. We can see it displayed in television shows and films; we can feel it emanating from pulpits and mosques as well as within the corridors of academic inquiry. In spite of our perilous times, black love prevails. As a matter of hard historical fact, the true story of Black love—love colored by, love blackened by the Black experience—is the exact opposite of the traditional myth. There is, moreover, plenty of evidence to show that Black men and women—despite slavery, despite segregation, despite everything—created a modern love song in life and art that is the loveliest thing dreamed or sung this side of the seas. Bennett’s words are timely, urgent, and necessary. It’s a reminder that black love is rooted in stories of radical struggles for personal autonomy, community building, and economic justice. Celebrating the 80th anniversary of Their Eyes are Watching God is a time for reconsideration of the ways Black Americans think about love and loving ourselves. Ayesha Hardison is Associate Professor of English and Women Gender Sexuality Studies at the University of Kansas and the author of Writing through Jane Crow: Race and Gender Politics in African American Literature. Follow her on Twitter @aykiha. Randal Maurice Jelks is Professor of American Studies and African and African American Studies at the University of Kansas and the author of Benjamin Elijah Mays, Schoolmaster of the Movement: A Biography and African Americans in the Furniture City: The Struggle for Civil Rights in Grand Rapids. Follow him on Twitter @drjelks. They are the planners of a symposium celebrating Black Love around the anniversary of Their Eyes Were Watching God at the University of Kansas (September 14-16, 2017).